Over 50% of AMC Search's training is bespoke and put together to meet the specific training needs of organisations. Does your organisation have training needs that aren’t met by off-the-shelf short courses? 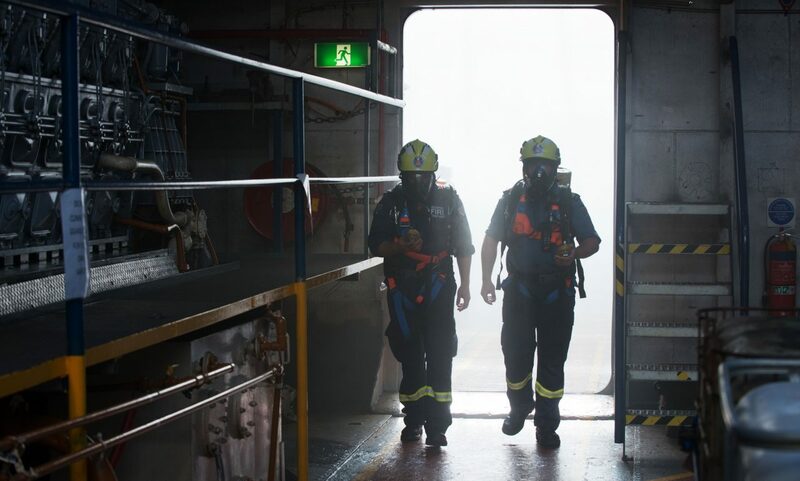 We have over two decades of experience putting together tailored training courses in areas such as vessel training, teamwork, firefighting, human factors, operator tools and many more. We design and deliver training that works for your organisation, including working closely with you to carry out gap and skills analysis that help us to understand your specific training needs. AMC has the ships, lecturers, sea survival centre, simulation centre, provides meals, accommodation, airport pick-ups and more. I don’t believe there’s any other provider in the country that can do it all like that. Hundreds of organisations have benefited from our bespoke training, including commercial companies, defence organisations, ports, regulatory bodies and more. Our bespoke training solutions span sectors and take advantage of our powerful maritime facilities, particularly our Maritime Simulation Centre and our Emergency Response Centre. Our affordable training can be provided at short notice due to changes in work schedules and crewing arrangements. For cost and time savings, much of our training can also be provided at your location, as well as from our base in Launceston, Tasmania or from our Sydney Study Centre in Darling Harbour. Whether it's short courses that you'd like delivered on your premises or a new course tailored to your requirements, AMC Search has the expertise to meet your needs.